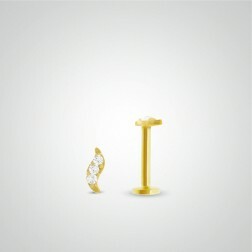 18 carats yellow gold leaf piercing for the tragus with diamonds (internally threaded). 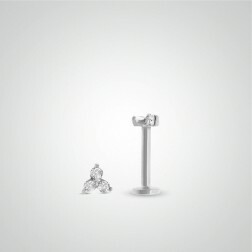 18 carats white gold leaf piercing for the tragus with diamonds (internally threaded). 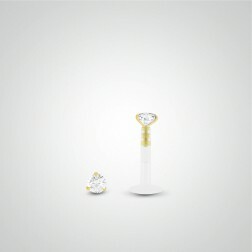 18 carats yellow gold labret piercing with diamond 0,02 carats for the tragus. 18 carats white gold labret piercing with diamond 0,02 carats for the tragus.